The Latest Design Trend -- Does this spell the end for Stainless Steel? The latest trend in appliance finishes is Whirlpool White Ice. 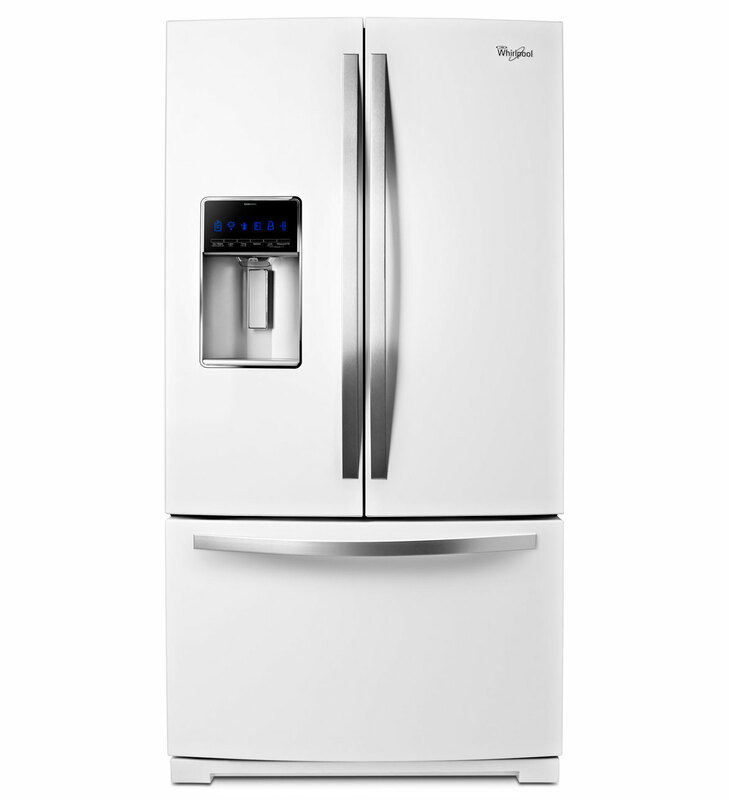 This sleek, modern looking style is appearing on more an more Whirlpool refrigerator models. Stainless steel has been the dominant finish for kitchen appliances for almost two decades. Other than customizable panels (which can be extremely expensive), there really hasn't been much innovation when it comes to new finishes. Whirlpool's White Ice finish offers up a sleek new alternative that will not only help to set your kitchen decor apart from the rest, but update it in a way that makes stainless steel feel dated. FINGERPRINTS - Nothing mucks up a stainless steel appliance more than a bunch of fingerprints. This is no longer an issue with the White Ice appliances. LYME DEPOSITS -- In many refrigerators with a water dispenser, lyme deposits tend to build up around the base of the dispenser region. Lyme can't bind to this new material. SCRATCHES -- It's not "scratch-proof" by any means, but considering how easy it is to ruin the face of a stainless steel appliance through an inadvertent scratch, you simply won't have that issue here. Inspired by Apple's iPhone, the white ice finish has opened to door to a number of other surprising color options that we may see come down the production line in the near future. White might be just the beginning. Whirlpool Appliances makes models under the Maytag, Amana, KitchenAid, Kenmore and Magic Chef brands. Whirlpool White Ice Appliances will slowly start to trickle down to each of these brands within the coming years. At the time of this writing, we've only seen this finish in a handful of Whirlpool Refrigerator models. That said, it's garnering quite a lot of attention so it's definitely likely they'll start to offer it up as a choice on more models in the near future. They're adding it to dishwashers and stove fronts as well allowing you to add in an entire line of matching appliances. White Ice vs. White Appliances? A number of people have asked us what the difference is, or how can you tell? There's a DEPTH to the white ice finish that gives it a deep glossy appearance. Almost as if the face of it was an opaque glass. Typically, most plain white appliances simply just have a matte or glossy white color to the exterior. This has been a very popular style in Europe for many years, but Whirlpool has re-imagined it and combined it with styles we already know. By adding stainless steel handles, this gives the White Ice Appliance line a look all its own.